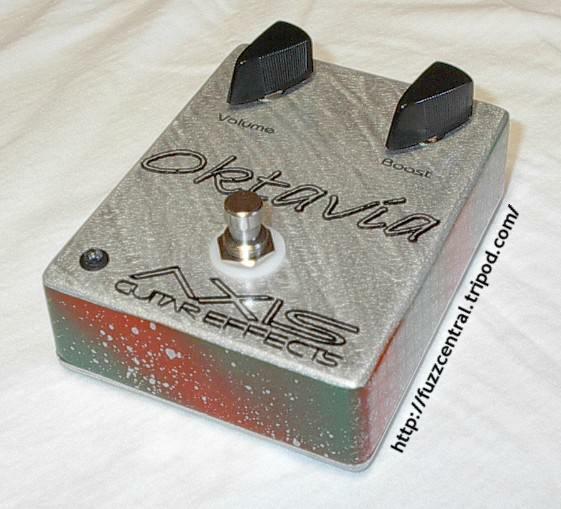 Few pedals carry the same legendary status as the Tycobrahe Octavia. It's quite possibly one of the hardest to find pedals around, mainly because there weren't a lot of them built. When you do find one, the price can very easily surpass $800 for a good one. There are a lot of stories surrounding this pedal as to whether or not it's the same circuit that was used by Jimi Hendrix. 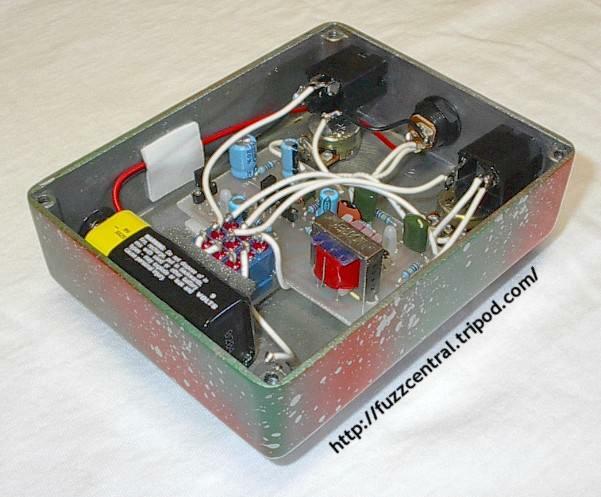 The story is that the circuit was designed by Roger Mayer to be used by Hendrix and was copied by one of the Tycobrahe engineers when it was brought in for servicing in the US. Do I believe it? Not really. Roger Mayer also claims that the circuit that was copied was actually meant to run off higher voltage, around 24 volts DC. This is a possibility and it may give the pedal a more tame personality. But, for what it's worth, I like the Tycobrahe Octavia just the way it is...loud and aggressive! This circuit has a truckload of distortion right off the bat, and also has some crazy swells that add a lot of animation to the sound. The schematic below is the only example that I know of that has the correct original transistor part numbers, and also note that the capacitor on the third lug of the "Boost" control is actually 100�F. 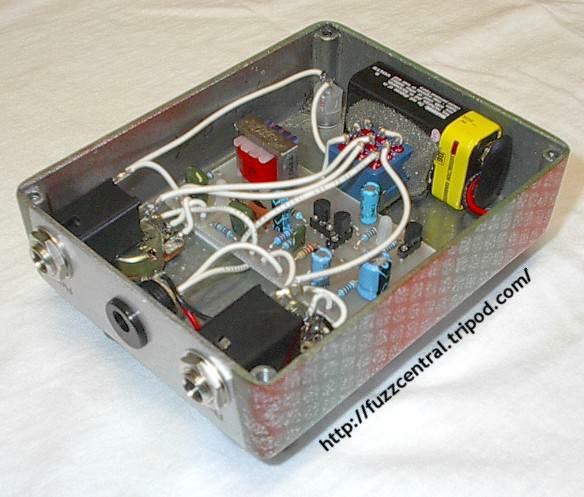 The parts highlighted in blue were not on the original circuit and are optional. They're there to serve as power supply filtering and reverse polarity protection. Even though they're optional, I would recommend that you use them! After I built the Octavia for the first time, I realized that I needed it to be powered by an external power supply because the battery drain of all the pedals was lightening my wallet considerably ;) So, after some modifications to the circuit, I came up with the first known negative ground conversion of the Tycobrahe Octavia. All I had to do was reverse all the polarized capacitors, replace the MPSA18 (Q1) with a 2N5087, and replace the two 2N6519 (Q2 and Q3) with a pair of 2N4401. You do not need to reverse the two Germanmium diodes on the output...they work fine just the way they are. Below is a schematic of my modified negative ground Octavia, and as before, the power supply filtering and reverse polarity protection parts are optional but highly recommended. Here are some pictures of my Tycobrahe Octavia Clone. Click the thumbnails for the full-size image! Use your browser's "Back" button to return to this page. The layout that I've included for this project is for the original positive ground version. To build it as the negative ground version that I cooked up, replace the MPSA18 transistor with a 2N5087, and replace the two 2N6519 (or 2N3906) with a pair of 2N4401. Then you'll need to reverse all the electrolytic capacitors. You DO NOT need to reverse the two 1N34A Germanium diodes on the circuit's output.